Step back in time and walk in the shoes of a Pharaoh. Set on the Nile River, Egypt's capital city is the home to one of the most incredible wonders of the world – the Pyramids. If Cairo is not in your travel bucket list already, you need to start considering a visit! An obvious must-see landmark is the pyramids. Cross this adventure off your bucket list by visiting the Great Pyramid of Giza and its popular sphinx statue. It is the oldest structure of the Seven Wonders of the Ancient World, and it will surely leave you in awe. Travellers and backpackers can easily spend hours, or even days, exploring the pyramids, so plan your trip accordingly. For history buffs, you can’t go wrong with the Egyptian Museum which features ancient artefacts from Ancient Egypt. Continue your journey through Ancient Egypt by visiting the Al-Azhar Mosque and Abdeen Palace, two incredible sights that boast breath-taking architecture. Lastly, catch a view of the whole city by visiting the Cairo Tower, the highest building in the city with an incredible panoramic view. Walking around in the dessert will surely leave you hungry, so stop by a local street vendor for some authentic shawarma or koshary. 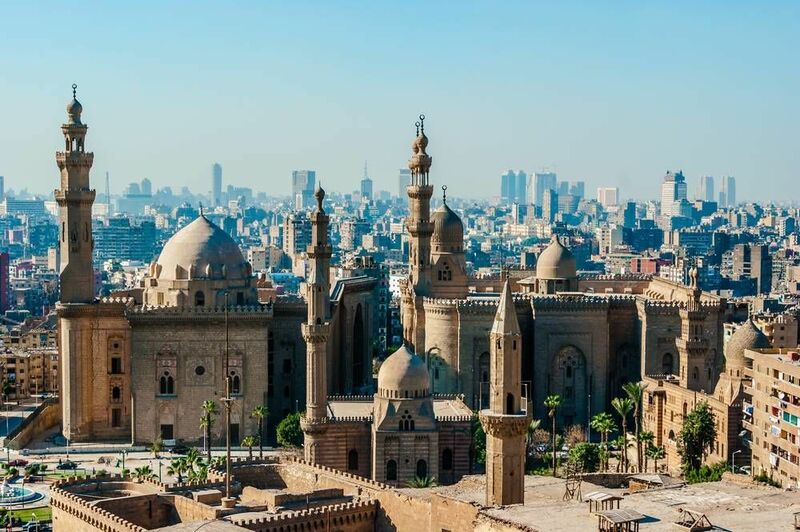 With monumental landmarks and thousands of years of ancient history to discover, it’s no wonder that Cairo is one of the most visited regions in the Middle East. With so many must-see sites in the city, walking tours offer a unique way to make the most of your trip. Enjoy seeing this majestic city through the eyes of the locals. Tour times vary, and they run a bit longer at approximately six hours. The tour starts with the Egyptian Museum, where a guide will show you around. Visit historical mosques, take in Islamic architecture, and admire the local clothing shops and restaurants. Cairo Walking Tours focus on packing in as much culture as possible in the short amount of time you have to spend in Cairo. You know a tour with a name like Walk Like An Egyptian is bound to be lots of fun! This tour focuses on Cairo as it relates to Islam and is approximately two hours long. Starting from the Hussein Mosque, your tour guides will take you to some of the most highly regarded complexes and mosques in Egypt, stopping to visit some monuments along the way. For a more modern look at life in Cairo, you’ll take a stroll through Khan El-Khalili, a popular souk full of shopping destinations and restaurants. End the tour with a relaxing cup of tea at the famous Zenab Khatoun café. Tour times vary, so be sure to check online or call ahead. Are you from Cairo and want to be a tour guide? We are currently looking for people from all over the world who are excited to show others their hometown. Please get in touch if that's you by submitting your details on this page.